Milestone, one of the leading and longest established racing game developer in the world, is glad to announce its successful IP dedicated to all two-wheels lovers is returning for the third chapter this year, releasing on November 8 th on Xbox One. RIDE franchise is one of the most consolidated in Milestone’s portfolio, a series of titles dedicated to all motorbikes’ fans. The series has established itself as a tribute to the motorbike culture, recognized as unique in its genre thanks to the extremely wide offer, with RIDE 2 winner of the Guinness World Record for Most licensed bikes in a videogame, and to the game experience it offers. While continuing the franchise’s tradition, RIDE 3 has been revised especially in terms of realism, customization and for the variety of content included: a mix of elements that make this third edition of RIDE the ultimate motorbike encyclopedia, a realistic and adrenalin-packed title dedicated to those addicted to racing. 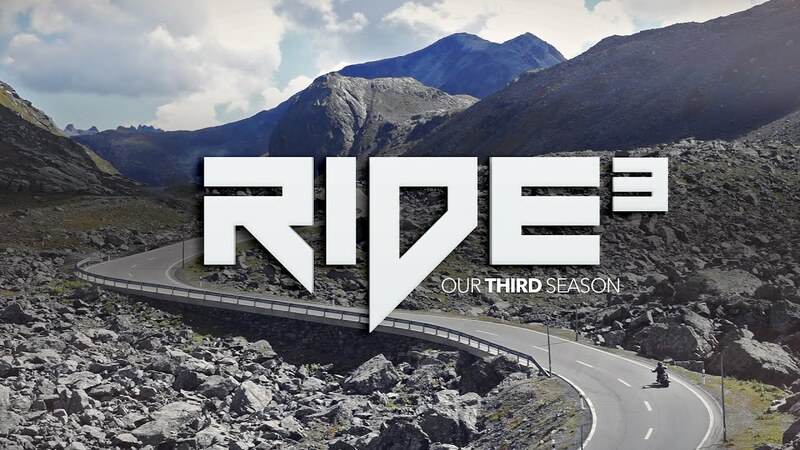 RIDE 3 has a whole new heart, Unreal Engine 4, and a completely revised experience: whilst maintaining the identity of the series, this title brings a bunch of new features and elements that will make the player feel the adrenaline like a real rider. The list of tracks has been increased to satisfy everyone's tastes and needs: there will be GPs and Supermoto tracks for those who wants to feel like professional riders, Country and City circuits to ride in the most iconic places around the world, Road Races to race on road circuits and Drag Races for those who love acceleration races that take place on straight tracks. Now enough you say don’t worry they have much more for us including engagement of players will be brought to the next level in this chapter of the series, especially thanks to the innovative customization options which include an innovative Livery Editor, to expand the customization to a completely new standard, where players will be given a unique limit when customizing their bikes: their creativity. These are only some of the innovations that RIDE 3 is set to bring to the players, and if that’s not enough, key features of the game will include more than 230 bikes at DayOne divided into 7 categories, including a new one, 12 brand new tracks, for a total amount of 30 tracks, and diverse customization possibilities, which will enable players to customize their bikes both from a mechanical and aesthetic point of view. Extreme realism reached thanks to the introduction of Unreal Engine 4, used for the first time in a RIDE title, which ensures a great visual rendering as well as detailed particle and lighting effects and a photorealistic level of the environments. Moreover, with the new graphic engine Milestone’s team has been able to include night modes for the first time in a ride title. Last but not least, the Drone Scanning System has been used to reproduce all tracks down to the smallest detail; A completely revised career mode based on volumes, a unique experience that tells the story of a specific bike category, manufacturers or iconic tracks; Improved AI, a new physics simulation and a revised collision system.